An offer to settle is in the heart of the litigation. It can be appropriate to make an offer to settle at any time. A Part 36 offer is a formal offer to settle a dispute (or part of it). There are significant consequences if a Part 36 offer is rejected. It should be used as a tactical tool to put pressure on the other party to settle the issue. A part 36 offer is able to inform the other side what they will accept or offer to resolve the dispute. The risks that are associated with rejecting part 36 are that you will be liable to pay more in interest and or costs if there were to be an unsuccessful judgement. The risks associated with the part 36 offer mean that parties must seriously consider offers which are made to them. Part 36 offers are made ‘without prejudice save as to costs.’ This means that the court is not made aware of the offer until after the judgement is passed. However, the court is made aware of the offer before an order is made in relation to the costs of the proceedings. Part 36 offers can be made at any time prior to the time of the judgement. Often even before court proceedings have begun. It is important to note that part 36 offers are not applicable to those claims who are allocated to the small claim track (maximum claim £10,000). A Part 36 offer is usually made in writing and states clearly that it is a Part 36 offer. It must specify period of not less than 21 days (‘relevant period’) within which the party offering will be liable for the other party’s costs. It must be in writing and it must also state that it is intended to have the consequences of part 36 and state whether the offer is made to settle the whole claim or part of it. If the part 36 is intended to settle part of the claim, then it must state which part of the claim it is intended to settle. The part 36 offer is an offer to pay the claimant a sum of money. It is important to note that this is not to be paid over a number of instalments. The defendant must offer to pay the claimant the sum no later than 14 days after the acceptance of the offer. If the defendant fails to comply with these terms, then is will not be considered as a part 36 offer by the court. Offers which are not made in accordance with the part 36 guidelines will not be considered as a part 36 offer. The court may take into account such offers when considering the order of costs. A Part 36 offer can be accepted at any time without obtaining the Court’s permission. The party making the offer can withdraw it within the ‘relevant period’ but must have the consent of the Court. If it is withdrawn, it does not carry the same consequences as rejecting. If the case has already gone to trial, then the parties much receive the courts permission for the offer to be accepted. Another exception as to when the parties can make a part 36 agreement without the courts permission is when there is a case of joint liability. Examples of this are when there are a number of defendants. One of which makes a part 36 offer however the claimant wants to continue proceeding against the other defendants. For this part 36 offer to be valid the courts must approve. There are a number of issues to consider before making or accepting a Part 36 offer. We can advise you on the cost aspect of making a Part 36 offer. If you have been served a Part 36 offer, we will not tell you whether to accept or reject the offer – instead we will assess your success if your claim proceeds to trial. If the offer is accepted within the 14-day period, then the claimant is entitled to costs up to the date that the offer is accepted. The value of the costs will be attempted to be agreed by the parties, however, if the parties cannot agree to the value of the costs then it will be assessed by the court. Often this process means that the claimant will only be able to receive 60-80% of the actual legal costs which are incurred. If you are the claimant and have received a part 36 offer and are looking for more advice on the next steps, then give us a call for free on 0800 310 11 12. Here we will be able to give you a free chat over the phone and will be able to give you advice on the next steps to take. 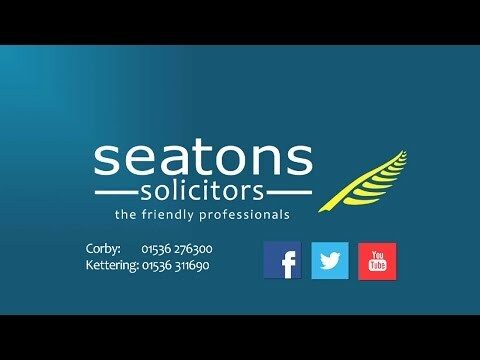 Here at Seatons, we operate on a no win no fee basis and we are known as the friendly professionals. We will give you a single point of contact throughout the proceedings and you will be able to ask questions as and when they come about.